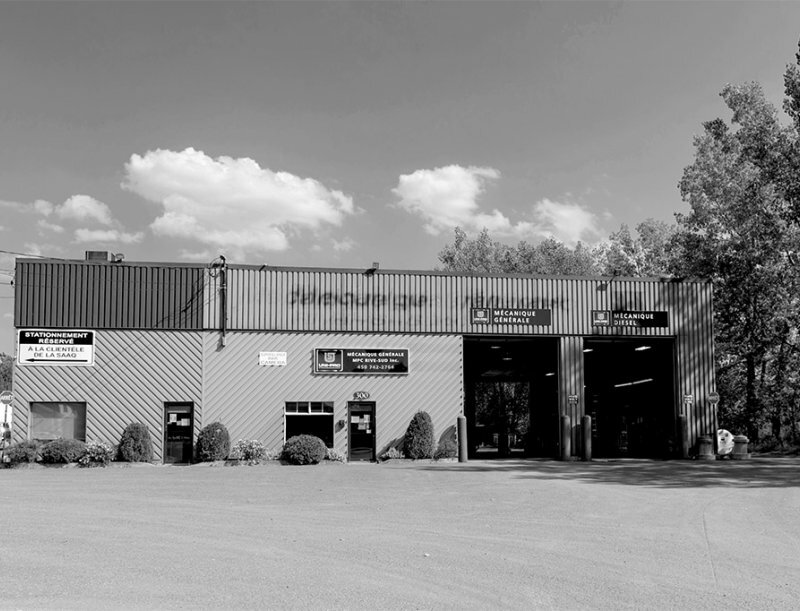 Upon its foundation in 1978 under the name M. Ressort A-1, the company was solely dedicated to repairing vehicle suspensions. Maurice Chassé Sr and Hélène Simard bought the company in 1987. At the time, the team of 4 technicians in the company were mostly working on heavy vehicles. The new owners, upon purchasing the company, decide to increase their service offer to include general mechanical services on heavy vehicles, adding two additional work shifts. Through this new orientation, 24-hour services are now offered and the company grows its team to include 9 mechanics. In 1988, the company receives the « Approved Representative » status by the Société de l’assurance automobile du Québec to carry out heavy vehicle inspections. This status is still valid today. In 1992, the company changes its legal entity and becomes Mécanique Générale MPC Rive-Sud Inc. to better reflect its new orientation. The same year, the company joins Navistar as an associate. The owner, Mr. Maurice Chassé Sr., dies in 1994. The company is taken over by his sons, Maurice Chassé Jr. and Pierre Chassé. In 2006, in a strategic move, Mécanique Générale MPC Rive-Sud Inc. leaves Navistar and joins the TruckPro network. Thanks to the TruckPro network, customers have now access to a North American Warranty. Today, the company offers a wide array of services dedicated to heavy vehicles: analysis and diagnosis, repair work on brakes, air conditioning, suspension & steering systems, gas & diesel motors, PPM work, etc. The company employs 8 technicians on two work shifts.